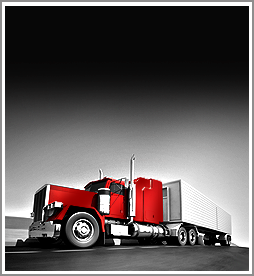 Truck accident injuries are generally very serious. As the driver or passenger in a car, you have to drive on roads that are filled with trucks, tractor-trailers, package delivery trucks, heavy cargo trucks and other construction vehicles, especially in Charlottesville and central Virginia. When there is an accident involving a truck striking or hitting a car or motorcycle, it can cause serious and devastating injury to the driver and passengers of the car. Such accidents are not the same as accidents between two cars. These cases are much more complex because they involve various state and federal laws and regulations. Our personal injury lawyers in Charlottesville understand all the issues that pose obstacles in such cases. If the truck was involved in the transportation of hazardous materials, an experienced truck accident lawyer knows what to look for and what regulations had to be followed. Many times, our personal injury lawyers in Charlottesville have used trucking safety experts and accident reconstruction experts to look at the truck and the scene of an accident to determine what happened. One area that is particularly complicated is looking at the Federal Motor Carrier Safety Regulations. Most commercial trucks and other vehicles are required to comply with this federal law. If there is a violation of the Federal Motor Carrier Safety Regulations, it is important to determine this fact as soon as possible. In a serious truck accident case, it is important to realize that although the statute of limitations for your case may be several years, there is evidence that can be important to your case which could be lost or destroyed. For example, truck driver logs only need to be kept for six months. In addition, a lot of inspection records and scale tickets do not have to be kept for any particular length of time. The intervention of a truck accident lawyer can be vital in obtaining such evidence before it is destroyed. Most significantly, most truck accident victims have no idea of the real value of their claim when a truck is involved. The insurance adjuster from the truck’s insurance company is just trying to save his company money and only an experienced personal injury lawyer can advise you on the real value of your claim and protect the evidence that you will need to obtain a fair result for your injury or that of your loved one. Contact the experienced truck accident lawyers at the law firm of Wilson & Hajek. Personal injury lawyers in Charlottesville serving all of central Virginia.